This saw has been in my family for many years. I tried "restoring" it but the blade was so badly rusted/corroded that I couldn't raise any kind of identifying mark or maker's name on it. 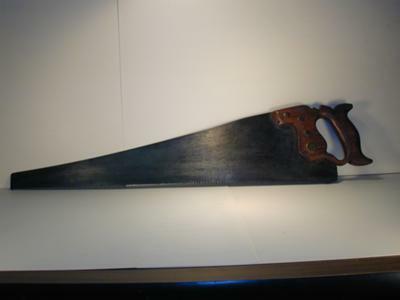 It's about 28" long overall with a blade about 24". The handle almost looks handmade to me? 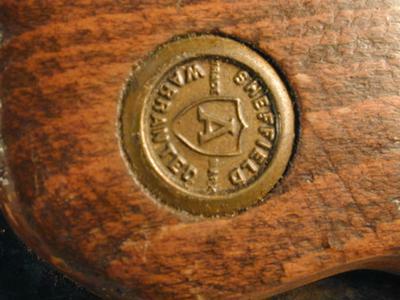 The only piece of the saw with a name on it is one of the handle screws, as seen in the attached close-up. Would anyone care to hazard a guess as to age, maker and value, if any?